Dr. Elena Cadel, Consultant and Researcher at the Barilla Center for Food & Nutrition Foundation (BCFN Foundation) presented the Food and Sustainability Media Award. Born in the USA of Swiss and Czech parents, Milena Rivolova is a JCU alumna (Class of 2016) who grew up in Prague, Czech Republic. The Institute for Entrepreneurship and the Center for Professional and Continuing Education welcomed Filippo Agostino, co-founder and CEO of 2Hire. The Institute for Entrepreneurship welcomed Daniele Appetito, CEO and co-founder of the startup MySpot, and Stefano Santarelli, CFO. On Wednesday, March 8, 2017, the Institute for Creative Writing and Literary Translation welcomed British poet and translator Patrick Williamson. The Institute for Entrepreneurship welcomed Stephanie Mitchell, founder of Gymbag, to Professor Pulino's Introduction to Entrepreneurship class. 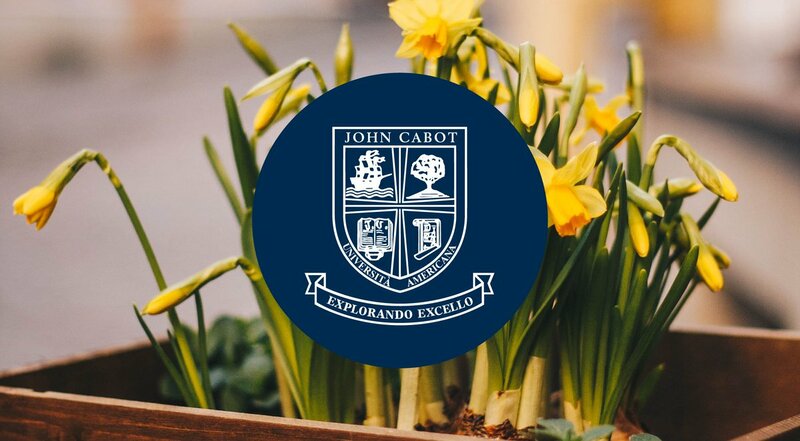 The Writing Center is John Cabot University’s resource for writers. Intended '"for all writers, of all levels," the Center offers one-hour sessions for students who are interested in improving their written work. Thanks to a collaboration with Professor Sabrina Schmidt’s Graphic Design and Advanced Graphic Design classes, the Writing Center is receiving a graphic makeover.